Scientists have discovered "jelly-like" fish living in one of the deepest places on earth, almost 8,000m (26,000ft) below the ocean surface. 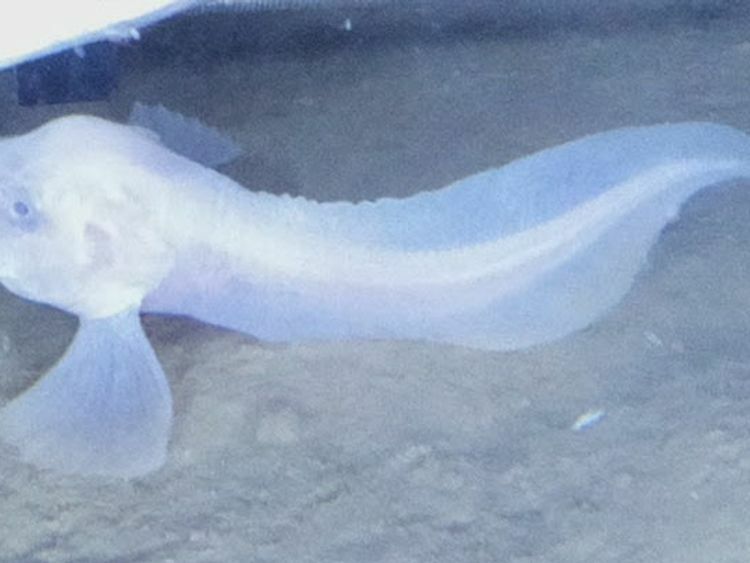 The team from Newcastle University found three new species of snailfish living in the Atacama Trench, a 3,670 mile-long (5,900km) scar on the seafloor that runs along the Pacific coast of South America.Less than 30cm (12ins) long, the fish are perfectly adapted to life in water that is perpetually dark, near freezing and under immense pressure. Their bodies are translucent and gelatinous; their only bones are tiny structures in the inner ear that are crucial for orientation.Dr Thom Linley, one of the researchers, told Sky News: "They go against the mould of what you imagine for a deep sea fish. "There are no gnashing teeth or creepy bulbous eyes. They are small, pink, jelly-like fish. "They look like they are smiling, and have a playful of swimming around. "I find them endearing. The world's deepest fish is an attractive animal! 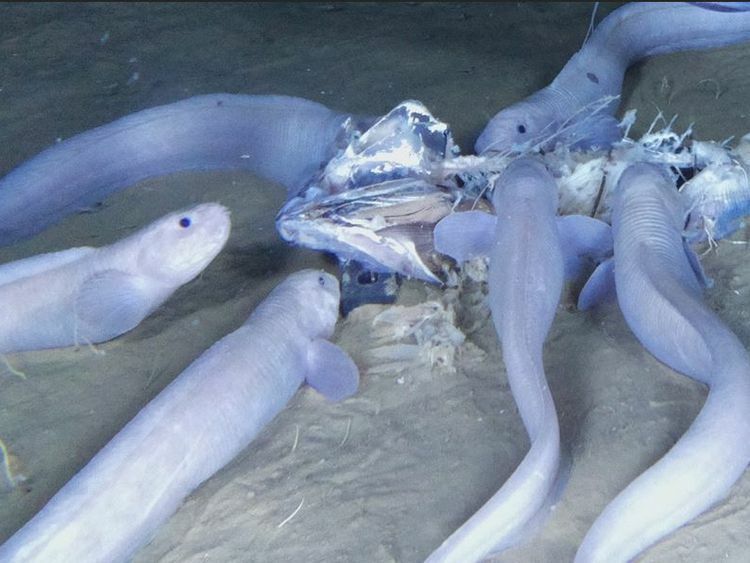 "Dr Linley said the species have been temporarily named as the pink, the blue and the purple Atacama snailfish "but that really doesn't do them justice".Scientists believe the fish have evolved to survive in the ultra-deep because they are out of reach of predators.But even 8,000m down there is plenty of food. "They seem to be quite active and look very well-fed," said Dr Linley.The research will be discussed at the 2018 Challenger Conference at Newcastle University from 10-14 September.